What goals are you trying to accomplish in 2012? Does your plan of action take into account where you are starting from, what skills you need to attain to accomplish this goal? Does this plan take into account your movement and performance baseline? Does this plan determine your strengths to maintain and your weaknesses to improve on? Does this plan allow for changes or modifications to be made due to things that may come up? How does the plan determine when to make modification? Whether you are training for the Omaha Fire Department, Russian Kettlebell Challenge Instructor Certification, Marathon, 1/2 marathon, or just fat loss you MUST have a plan of action. Here is my 2012 gift to you…. Anyone in the area who is interested in getting a proper PLAN OF ACTION towards their upcoming 2012 goals is invited to come in and get a Fitness Consultation and Functional Movement Screen at NO CHARGE ($87 value). Just click the link below to get registered and we will sign you up for your consult and screen. No strings attached. This is a great way for you to understand every aspect detailed above whether you chose to train at home, at another gym, through another trainer, or through SG Human Performance. What do you have to lose? Here is to you accomplishing your goals! Hello everyone. Hope all of you are doing very well out there. Today I am providing my product review for the DVD of Applying the FMS Model by Gray Cook. Nikki and I were fortunate to experience this workshop first hand at the Chicago Perform Better Summit last summer (2011) as we both were given the honor of providing FMS screens for Brett and Gray during the workshop. Applying the FMS Model is a great DVD for any individual wanting to learn more about applications of how to use the FMS model in their profession. The DVD provides the actual workshop itself with its presentation slides and demonstrations of the FMS screen itself as well as analysis of the screen results. This is some pretty fantastic stuff as this type of material has not yet been covered in any other DVD or Workbook. This is one of the main reasons why Gray and Brett decided to do the workshop in the first place, to provide a demonstration to interested people and to provide both FMS Certified and Non-FMS Certified individuals an understanding of application. On Target Publications did a fantastic job with this DVD. It includes everything. The PDF of the presentation slides, charts, scoring criteria and verbal instructions for the FMS, as well as a full MP3 of the lecture so you can listen off of your ipod or even in the car. LOVE THAT! Provides all professionals a tool to present to their superiors, co-workers, and/or potential clients (examples: head coaches, athletic directors, strength coaches, athletic trainers, wellness coordinators, corporate wellness committees and etc.) which gives a vivid explanation of the whole FMS process and its applications and benefits. Use this in your arsenal when you are trying to establish its importance within your setting. How nice is it to ask someone to watch this video when they are interested in learning more about the FMS and its benefits? For more information and to see more of the sample videos click HERE. Hello everyone. Hope all of you are doing well and training smart. Just a quick post on how things are going. Had such a fantastic week training for RKC Level 2 certification last week. I was able to press the 40kg on Tuesday, pistol both sides with a 16kg, and on Saturday I did my first bent press with a 44kg. The 44kg felt really good as it was my first attempt at it but it went up quite smoothly. Now the decisions I made next are crucial for me to be able to continue with my strength training foundation and to hit more PR’s. The old me would have quickly ran over and tried to bent press the 48kg since the 44kg went so smooth. I remember when I did this big jump before and I was able to perform it but a week later I had to take time off because I hurt my shoulder blade. So I placed the 44kg down with happiness and left it at that. My next decision is to lay off this week and really get to moving well. I am taking the advice of many others who say not to keep hitting the accelerator when you hit a PR. Every time I hit a PR it seems the next week I get hurt because I did not back off. I was feeling so good last week and felt unbreakable, that is my hint that its time to back off and start the trek back up the peak slowly but surely next week. Not that I am going to lay down on the couch or anything, but I am going to lighten the loads and really work on technique this week. Hello everyone. I wish all of you well in your quest to become better individuals by healthy mind, body and soul. Sorry it has been so long since I have posted. You see, I don’t just blog all the time to be blogging. I want my blog posts to have some meaning. So when I am inspired to blog for any specific reason, then and only then do I get the word out to the masses. Now to the good stuff. So many of you out there feel that you HAVE to do cardio training to lose fat. In all actuality this is not always necessarily true. Many of you are missing out on the anaerobic and metabolic effects of resistance training and high intensity training. I feel that part of this may be due to the fact that we (meaning Americans) LOVE to see the “calories burned” at the end of our workout. Hence the love of getting on the treadmill or hooking ourselves up to a heart rate monitor. BUT you are only taking in the “aerobic” measures towards caloric expenditure. You are missing on a few other more important variables when determining what exercise means give you the most bang for your buck when working into a fat loss exercise program. I want to thank Alwyn Cosgrove for bringing this study to my attention. Alwyn is a fat loss EXPERT and has been doing it for quite some time now. He has kept EVERY workout he has had his members perform and is up to date on ALL the research on fat loss. So lets just say when Alwyn speaks, we (Nikki and I) listen. A study in 2005 titled: “Misconceptions about aerobic and anaerobic energy expenditure” by Scott, CB and was published in the Journal of the International Society of Sports Nutrition. Here they performed a study which compared 3.5 minutes of aerobic exercise versus 3 x 15 second wind sprints. This is where most people stop the argument. “SEE!” “Steady state aerobic is better than sprinting or high intensity cause it burns more calories!” Just a second my friend. (EPOC, informally called afterburn) is a measurably increased rate of oxygen intake following strenuous activity intended to erase the body’s “oxygen debt.” In historical context the term “oxygen debt” was popularized to explain or perhaps attempt to quantify anaerobic energy expenditure, particularly as regards lactic acid/lactate metabolism; in fact, the term “oxygen debt” is still widely used to this day. Direct and indirect calorimeter experiments have, however, definitively disproven any association of lactate metabolism as causal to an elevated oxygen uptake. In recovery, oxygen (EPOC) is used in the processes that restore the body to a resting state and adapt it to the exercise just performed. These include: hormone balancing, replenishment of fuel stores, cellular repair, innervation and anabolism. EPOC is accompanied by an elevated consumption of fuel. In response to exercise, fat stores are broken down and free fatty acids (FFA) are released into the blood. In recovery, the direct oxidation of free fatty acids as fuel and the energy consuming re-conversion of FFA’s back into fat stores both take place. That is a pretty big jump by the 15 second sprints in just the EPOC alone and by checking out the above definition, its pretty nice to see that the fat stores are broken down during EPOC. Now do you see why we push so much for high intensity cardio and anaerobic works like kettlebell swings and strength training? Its the WHOLE affect that creates the type of response that you want when trying to lose fat. I would love to see a study that promotes strength training, circuit training, kettlebell swings and other types of anaerobic exercise to put up against the treadmill, stair stepper and elliptical steady state exercise. Hope everyone is doing well, sticking with their guns and progressing towards their goals and most importantly, training smart. Here is my favorite shake recipe going on right now. Blend and enjoy. The PB2 is a powdered form of peanut butter that just makes it way easier to make shakes with peanut butter (you can get it online or at your local grocery store). I have used regular peanut butter in the past but it tends to stick to the blender half the time. The secret ingredient in my mind is the cinnamon. It really gives the shake that cookie taste that I love so much. The cottage cheese sounds weird at first but it gives the shake an ice cream consistency to it. Are you making Excuses or Solutions? Hope everyone is doing well out there and training hard and more importantly training smart. After the past two weeks of speaking to individuals about their health and fitness goals for changing their lives I am inspired to write a blog on the subject. First I need to provide a warning for you that this blog post will not be pretty. You are going to see a little bit of my dark side. Yes I have an alter ego (some of my clients have named him “Mac”) and it is about time that my alter ego come out and provide some knowledge. I am not going to be an A$$hole, I am just going to be very blunt and provide all of you a little reality check. Its not meant to hurt anyone’s feelings but to get you to achieving your goals. Being a fitness/sports medicine professional since 1996 I have met a lot of individuals. Some are inspiring with their story about how they have overcome adversity and made a positive change in their life. But, the majority of the people I have met only have excuses. Excuses for why they live the life they live, for their troubles, for their issues, blaming others for the problems they are faced with today, or baggage that is keeping them from living a happy life. Listen, I am not better than anyone else. I used to be Captain Excuse, I would blame my past for my issues with being able to deal with people. I still catch myself today making excuses for many things, but I am aware of it and trying to stop it. Here is the big problem. If we are so busy making excuses, we are never working on SOLUTIONS to our adversity. Here is some of the excuses that I have heard recently and here is what they are really saying. I was on track and then off track and now I just don’t have the energy to go through what I went through before to achieve the results I need. This is a tough one. I am not saying that you cannot mourn. All I am saying is that you should mourn, but there has to be a time where you pick yourself up off of the floor and put the pieces back together. I am too lazy to think of a SOLUTION on how to budget properly to afford a proper fitness program and nutrition strategy. I would much rather use my money (that I state that I don’t have) eating out and going to the bar. I am scared out of my mind about showing up to a fitness class and looking like a fool. I don’t want others to see me make mistakes and fail. I don’t want to look like an idiot in front of others. This is another tough one. But understand that everyone is in your shoes and has the same doubts and worries as you. Ask any of our members, they were in the same situation as you during the first week of their program. I was as well when I started my first kettlebell class! But you make mistakes and learn from them, you struggle and sweat and accomplish and you do it with others who are there to help you along and you can help them too. The difference between our members and you is that they decided they were tired of living the life that they were and took the first step. So as painful as this blog may have been for you to read. Take a few days and think about it. Are you making Excuses? Or are you now going to start thinking of SOLUTIONS to your problems. I know that it has made my life much better when I stopped looking for an excuse and began thinking of solutions. If you ever need help finding a solution, there are thousands of well trained individuals out there to help you find those solutions. Never give up, always be thinking of a solution and your mind will find the answer. Hello everyone! Hope everyone had a fantastic Holiday Weekend and celebrated their Independence. Here is SG Human Performance’s Protein Shake Recipe of the Week and in honor of the 4th of July whats more American than Apple Pie? So we went with the Apple Pie Shake. Sometimes we like to add come cottage cheese (1/4 cup) to up the protein content in the shake and it seems to provide a little more of a milkshake consistency. The amount of ice depends on how thick you want the shake as well. Tastes so much like apple pie except for the guilt! IF you are interested in learning more recipes you can go to sghumanperformance.myvi.net and fill out a contact form. Or just start the challenge and get started on your way to the new you. If you are interested in receiving a free fitness consultation you can contact us by clicking on the link below. You have had enough. You are tired of looking at what you see in the mirror everyday. You want to lose fat and you want the body that you have always dreamed of. You are now even more determined to achieve your fitness goals. You will make it happen this time even after failed attempts. This time is different. BUT, Before you go out and buy the program, before you buy the DVD’s that are all the rage, before you make the financial investment into the equipment, gym membership, personal training sessions, bootcamp classes, and/or supplements you need to do one simple thing. That is ASSESS YOUR FOUNDATION. Any house that has been built to last the test of time has a solid foundation. So why not do that with your body as well? If your body does not have a solid foundation (as Gray Cook says) no matter what type of fitness you put on top of it, you are putting fitness on top of dysfunction. This is not the correct way to start to achieve your goals. In fact, it may be the reason that you are not achieving your goals. Assess your foundation before you "Bring It"
What type of FOUNDATION am I speaking about? Your MOVEMENT FOUNDATION which can also be described as your quality of movement. Poor Metabolism = Moving poorly restricts your metabolism. You are not getting the most out of your body when you exercise and also as you go about your everyday activities. Injury = Would you drive a sports car at 100 mph when the car’s alignment is all out of whack? It’s not a matter of IF but WHEN that car will break down. And if you are driving that car at a very fast speed not only will the car break down sooner but bad things can occur very quickly! The same goes for someone exercising with a poor movement foundation. Efficiency = Think of it this way. If you move poorly or less than optimal, when you perform exercises you are not getting the most out of your body. The less that you get out of your body then you are restricting your workouts and not getting the calorie burn you would optimally love. The better you move = THE MORE YOU BURN! Before you go "INSANE", make sure you understand how well your body moves. So how do you assess your Movement Foundation? You have a few choices. You go get a Functional Movement Screen from a certified professional. This is the cream of the crop on movement quality. They can assess your foundation and provide you with exercises to make your foundation strong. Once you achieve a proper score with no imbalances then you are free to workout any way you wish, just keep rechecking your movement after finishing or beginning a program. You can perform an at home SELF MOVEMENT SCREEN. The screen is easy to set up and perform without having to purchase any equipment (all you really need is a broomstick, tape of some kind, and a doorway). All the instructions are below in the video provided. Here at SG Human Performance we understand the importance of having a solid Movement Foundation and how providing you with the FMS screen and exercises to help to build this foundation this will ultimately help you to achieve your fat loss goals. If you are interested in getting an FMS screen and/or would like to learn more about our training programs and group classes VISIT OUR WEBSITE HERE. If you do not feel you need any help then put your money where your mouth is and perform the Self Movement Screen to make sure your foundation is rock solid. If you pass all the tests, then fantastic! Go after your goals and we hope that you achieve them. 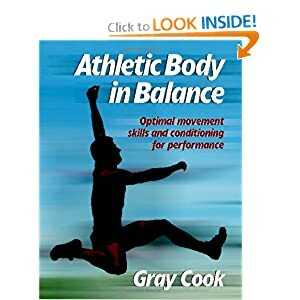 If you fail any of the tests then you need to either check out an Functional Movement Professional (FMS/SFMA) or check out the book Athletic Body in Balance. 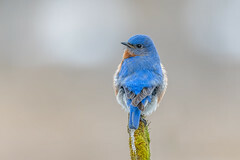 Hello everyone out there. Hope you all are doing well and training smart. Hope you are doing something to help exercise your mind, body and soul. Just finished watching Tracy Reifkind’s Programming the Kettlebell Swing. No one has done more with the kettlebell swing than Tracy Reifkind. She is a visionary in the art of the kettlebell swing and the numerous ways you can perform swing variations and workouts. Her DVD alone has provided me with some vital information about ways to change up things in our classes here at SG Human Performance. From swing timing, on the minute swings, to the roundabout swing, Tracy provides many important drills and aspects to the swing that I would have never even thought of until I watched the DVD. The roundabout swing idea alone is a solid drill for newcomers all the way to skilled RKC’s on perfecting their one arm swing. Anyone who is training clients and groups with kettlebell swings will greatly improve their programming by using her material. I again think that this DVD along with Dave Whitley’s Deepening Your Get Up Skills and Mark Reifkind’s Lats the Super Muscles will provide you with vital information when training for your upcoming Hardstyle Kettlebell Certification and/or your Russian Kettlebell Certification. I really would not see why you would not purchase the 4 disc set really. Hello everyone. Hope ALL of you out there are training well and training smart. Wanted to make myself accountable for my actions so I am posting again my progress and goals from week 4 of our Fat Loss Pilot Study. So Far NONE of our clients have decided to comment on these blog posts and speak as well about what they have done well and what they need to work on during this study. I REALLY HOPE that our members decide this week to comment back for everyone to see and learn from. So far last week I was 85% compliant on my nutrition goals but was 6 for 7 on days of doing my corrective exercises. Really starting to FEEL a difference in how I move. Squats, Turkish Get Ups and Swings feel more crisp and fluid. Paying close attention to my body and how I feel the following day after a workout. Pleased with how my body is progressing in the program. Really looking forward to seeing what my measurements say this week when i get them done. Still striving for that 90% compliancy rating! So close! Going to plan ahead my cheat meals based on our schedule, Gotta remember super bowl Sunday! GOING TO TRY AND SET AN ALARM FOR EVERY 3 HOURS TO HELP REMIND ME WHEN TO EAT! Keep pushing myself in the workouts. SGHP members or anyone out there that wants to be held accountable for their actions, please comment on this post with what you are doing well, what you need to improve on and how you plan to accomplish it. Buy the Book that Started the Revolution!